I love to read and reading helps me to escape. I'm a book addict and currently fighting back the urge to buy ALL THE BOOKS! This is a book that I think was actually my husband's. I think it got mixed into my books by accident and now he doesn't even remember if he read it or now. So that means it's mine. I've been meaning to read it for a long time and I'm glad I finally did. I really liked it a lot. 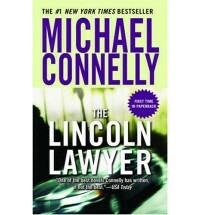 Mickie Hallar is a Defense attorney who thought he had finally found the perfect client. Every lawyer dreams of finding the type of client that has the money, pays, and keeps coming back. That kind of client keeps the bills paid. It isn't until he gets too far into the case that he realizes it wasn't the sweet deal he thought it was. When he realizes he is working for pure evil itself and that an innocent man was in jail because of him he knows he has to do something. The problem was that would be impossible without ruining his career. Donna has read 1 book toward her goal of 80 books. Donna has completed her goal of reading 40 books in 2017!